Even a small company needs to manage its documents, and in this age, the volume of records in any business can grow without concern for their size or industry. 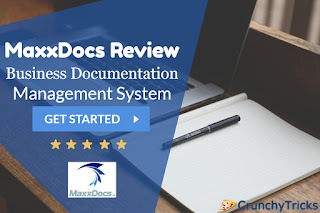 When looking for the best document management software for your small business, you will find MaxxDocs to be the perfect solution that is specifically designed for small to medium-sized businesses. You can start with MaxxDocs with up to 15 different users and take advantage of this economical solution to efficient document management. It is easy to setup, manage, and use. All this makes it the perfect software for affordable and efficient records management. Documents from the web or anywhere can also be saved directly to MaxxDocs. 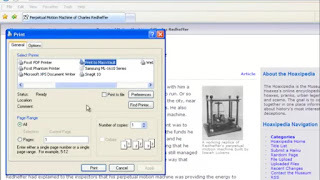 Capturing Document: - MaxxDocs allows you to obtain documents from multiple sources. 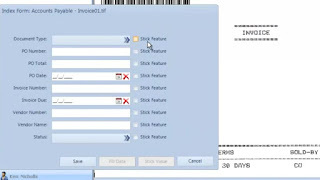 This includes Kofax scanners, drag, and drop, printing to MaxxDocs, importing file, TWAIN scanners, Kodak Capture Pro, MFPs, bar code document bursting, and scheduled import from a folder. Name Indexing: - It allows capturing different index values from the document’s name. Document Index: - MaxxDocs has thousands of index forms, index fields, and folders. 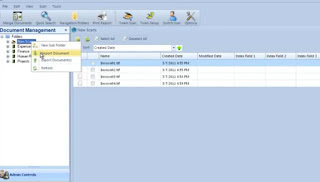 It offers file name capture, bar code capture, calendar tool, drop down lists, and folders views that can be customized. Enhanced Annotations: - Do a free-hand drawing, reduction, line draw, text box, highlight, zoom in and out, and Bates Numbering. You can now use custom stamps when using MaxxDocs on the desktop. Ease of Search: - The document management software allows you to search for documents using index values. UI: - MaxxDocs offers easy-to-understand and uses menus. The interface is all based on point and click and easy to configure. The Windows Client provides Color themes and toolbars that can be easily customized. You can also auto-launch it to the native viewer, and email/print directly from within MaxxDocs. Conduct Full-Text Search & OCR: - Find scanned documents by searching for text content with OCRVault Level 1. You can use words, phrases or even parts of words to search the words in the stored document. This is going beyond index field based searches. All this means that your documents will be safe from security breaches. Besides, you will not have to worry about the loss of data due to any reason. MaxxDocs also supports electronic signatures. MaxxDocs is designed specifically to be easy to use and user-friendly, keeping in mind the enterprise size for which it is developed. The first time you log in, you will find the system to be familiar with the widely popular Microsoft Office suite. The software also supports third-party database look ups. This feature is available for an upgrade. As your business and your needs grow, you can upgrade to take advantage of advanced features like e-forms, workflow and more. MaxxDocs allows easier, efficient and affordable conversion of paper documents into electronic files while enhancing document security. Here are some of the industries where MaxxDocs has been proven to be one of the most efficient document management software. Even in small law offices, each legal proceeding can create tons of documentation, both in paper and electronic form. Many offices have policies of printing electronic documents and emails to ensure that all documentation stays in a single paperback file. This can significantly increase paper costs and the costs involved in physical storage solutions and space. MaxxDocs can eliminate all the burden and reduce significant costs while saving space in your law firm. Your paper documentation can be scanned and stored along with your electronic documents on servers. Have multiple backups and protect the material by industry-standard security systems. Natural Search: - Search any document based on case number or other information within the files. Share case-related documents or print whenever needed. This can eliminate the costs involved and delays in managing paper documents, creating a highly cost-efficient law office. Each employee file in an HR agency or department can have hundreds if not dozens of records of a different type. Most importantly, the information is confidential and personal in nature. MaxxDocs not only helps you manage these papers in a secure manner, but it also allows meeting legal compliance. If you are small to medium-sized enterprise, MaxxDocs can be the perfect document management system for electronically storing and managing all your documents. HR agencies can instantly search for the list of resumes (applicants) that ideally meet the list of criteria and send them to the recruitment manager via email. This can be done using the index field or with the deep search for information on the resumes. The documents of all the employees can also be stored and searched for based on the required criteria. There will be no need to search manually through the filing cabinets, spending minutes or hours of unproductive time. It is mandatory for a doctor’s office to maintain medical records of all their patients. Each file can have dozens, and tens of pages and most of them are of different nature. Most doctor’s offices don’t have the manpower and time to manage all these files that keep increasing with time. Most importantly, they cannot afford to miss any information. MaxxDocs simplifies the process of document management in a medical clinic. How would it be if you can access a patient’s medical history, test results, prescriptions, or medical assessments with just a few keystrokes? Most importantly, all this data is stored securely and with reliable backups. This also saves valuable time for the patient, which can have life-saving consequences. Medical tests, x-rays, and all other assessments, including multimedia files, can be stored electronically and retrieved instantly whenever needed. All this means more time and cost-savings for your office. Most doctor’s offices operate out of small spaces. MaxxDocs can save you big on the larger space required for your growing volume of documents. As already mentioned, MaxxDocs is designed for small and medium-sized businesses. Once your document management needs to grow, you can upgrade to the company’s more advanced software solutions. However, MaxxDocs is still highly scalable yet affordable. You will not have to worry even if your documents repositories grow more than a million records. One of the best things about the product solutions from the company is that they have Windows Desktop and browser-based UI. Almost anyone can start using it without the need for training. This further helps eliminate the need for dedicating time and effort for employee training. It will further help speed up your processes and improve customer service. You can start using the software immediately after installation and setup. The MaxxDocs webinars can give you a valuable demo of the product.